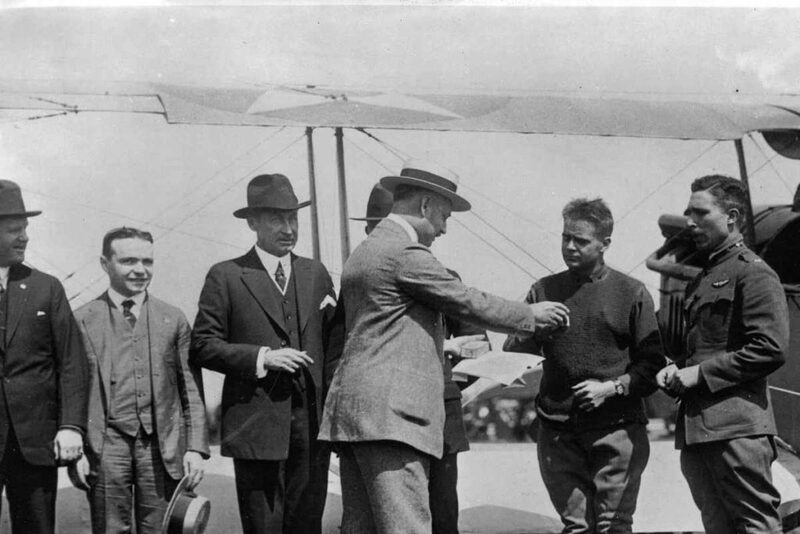 Hamilton Watch throughout 2018 celebrated a significant milestone in marking 100 years of providing timing technology to the aviation world. In partnership with Hamilton, through a six-month contest attracting hundreds of ballots, WINGS magazine recently drew Allan Armstrong, Human Resources Manager at Chartright Group, as the winner of a Khaki Aviation X-Wind Auto Chrono Watch. Founded in 1892 in Pennsylvania, Hamilton built its position as the dominant watch maker during railway expansion in the United States. After the turn of the century, Hamilton started creating watches for pilots – essential tools for the cockpit – understanding the critical nature of time and accuracy in the industry. The company in 1918 was chosen to be official timekeepers of the first U.S. Airmail flights between Washington, Philadelphia and New York. 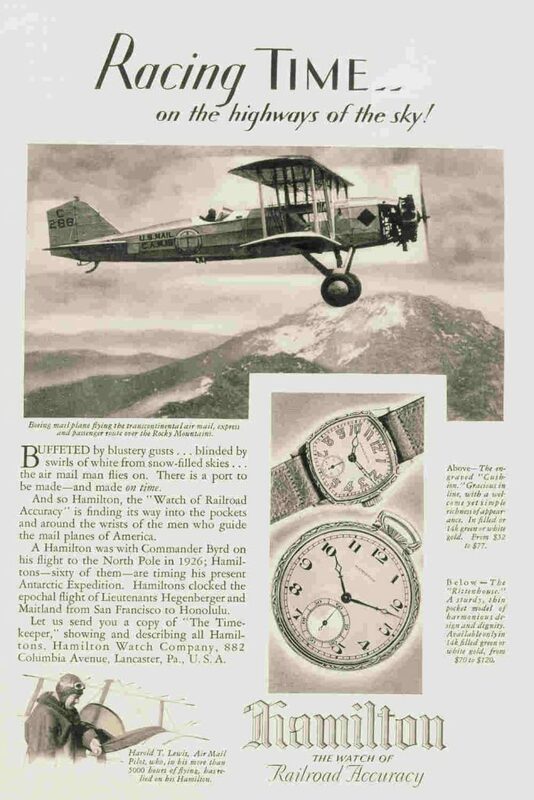 In 1926, a Hamilton watch timed the first flight to the North Pole. 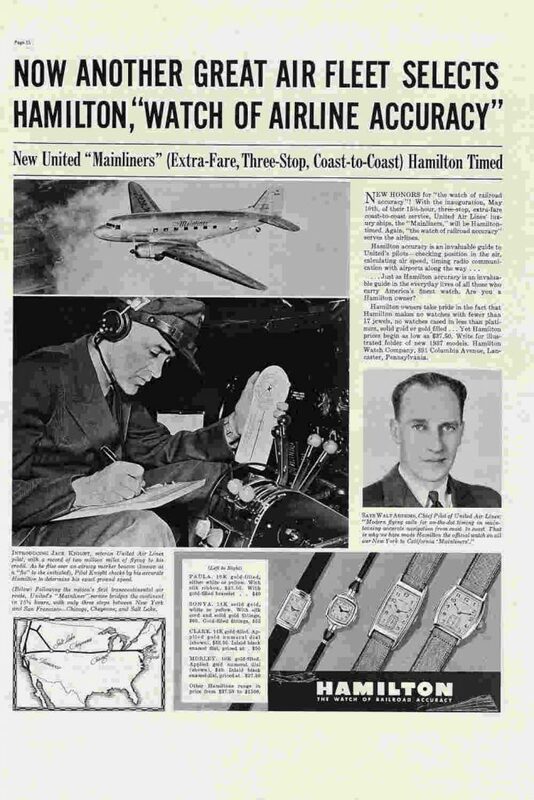 In the 1930s, Hamilton became the official watch of the United States’ four major airlines and timekeeper of the first non-stop, coast-to-coast service from New York to San Francisco. Over the next several decades, Hamilton developed a range of partnerships with military squadrons, air rescue services, demonstration teams and aerobatic pilots around the world. 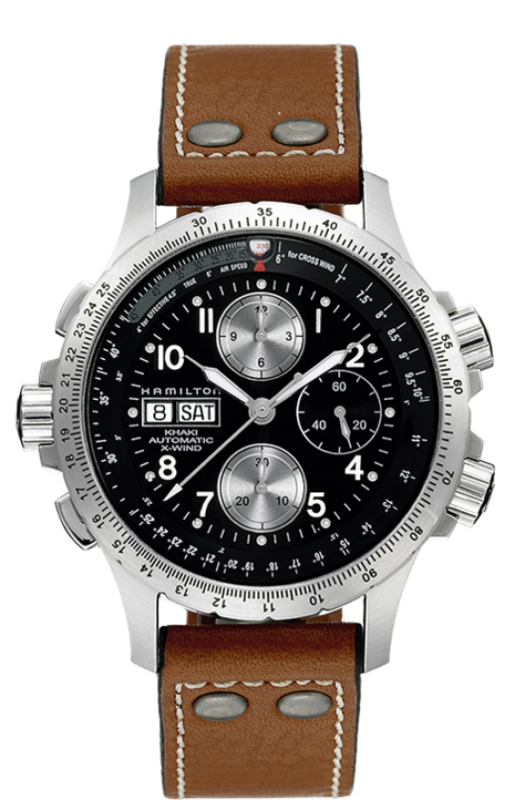 The current Hamilton collection includes watches with the ability to log up to 20 flights. they are equipped with a range of calculators for landing speed, drift angle and fuel requirements. The X-Wind features the world’s first drift-angle calculator in a watch to calculate and record crosswinds. More recently, Hamilton in 2017 became the Official Timekeeper of the Red Bull Air Race, which recently wrapped up its 2018 season after eight in seven countries, on three continents. Martin Sonka of the Czech Republic won the 2018 championship in the final Red Bull event, held in Fort Worth at the Texas Motor Speedway. Sonka began the season with two DQs, but went on to win four races over the season, including his effort in Texas, flying what organizers describe as the perfect run to take the win and the 2018 title. Canadian Pete McLeod, flying an Edge 540 V3 based out of London, Ontario, backed by title sponsors Hamilton and Garmin, finished 8th overall in the Red Bull Master Class. Since 1974, Hamilton has been a part of the Swatch Group and, in 2003, the company moved its headquarters and production to Biel, Switzerland.